On September 11, 2014, President Hassan Sheikh Mohamud was a guest at the Heritage Institute for Policy Studies’ (HIPS) Forum for Ideas. The HIPS forum is designed to be an inclusive platform for a candid discourse between policymakers and the public, and to facilitate dialogue among various stakeholders in the society. Watch the full Forum here..
On 11 September 2014, President Hassan Sheikh Mohamud was a guest at the Heritage Institute for Policy Studies’ Forum for Ideas. Thursday’s forum coincided with the second anniversary of President Mohamud’s election as a non-transitional president of Somalia. The Prime Minister of Somalia, Abdiweli Sheikh Ahmed, was guest speaker at our latest Forum for Ideas, held on Sunday 3 August 2014 at the Jazeera Hotel in Mogadishu. Former Somali Prime Minister Omar Abdirashid Sharmarke was a keynote speaker at HIPS Forum for Ideas on Monday 2nd of June, alongside Abdirahman Abdishakur, former Minister of International Cooperation, and Hussein Mohamud Sheikh Hassan, an MP and former deputy Prime Minister. 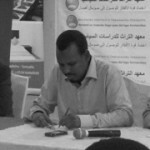 On 3 July 2013, HIPS organized a Special Forum for Ideas with the Speaker of the Parliament Hon. Mohamed Sheikh Osman ‘Jawaari’. HIPS has initiated a dialogue aimed at building trust between the donors, the Somali government and the Somali people through enhancing accountability and trust.